In the July 2010, volume 24, number 7 issue of the Journal of Strength and Conditioning Research, there is a great study- Relationship Between Body Composition, Leg Strength, Anaerobic Power, and On-Ice Skating Performance in Division I Men’s Hockey Athletes. I actually try to read these journals whenever they are delivered to the house. Usually, I will scan the table of contents for studies that really spark my interest. Obviously, any studies that are related to hockey, I am going to read. This study was done to look at relationships between specific lab tests and skating performance. The subjects were 21 Miami of Ohio University Hockey players. They were measured for body composition, force production in the quadriceps and hamstrings (isokinetic), and anaerobic power through a 30-second Wingate test. On-Ice skating was measured during 6 timed 89 meter sprints where the fastest sprint and the average times were used in the analysis. A couple of things that I really like about this study are that it does re-enforce some tests that I use/would use for hockey players. I think that hockey players should be as lean as possible. Honestly, I really haven’t seen too many pro players with body fat levels above 10% (taken with the Skyndex calipers). The Wingate test, although it is brutally hard, has always been a favorite of mine. 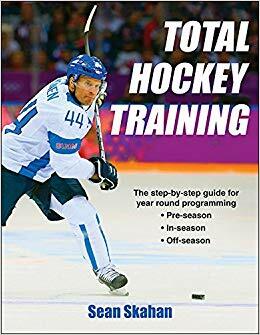 I actually remember meeting with Eric Cressey a few years ago and he asked me what tests, in my opinion, correlate with hockey speed and performance and my answer was body composition and Wingate scores. Should strength and conditioning programs for hockey include trying to be as lean as possible and improve leg power? I certainly think so.